If you’re a fan of foreign beauty products, you’ll know that Korean Beauty has been all the rage for a while. I never did see the fascination until very recently when The Silk Rose asked if I’d like to try some of the Korean Products that they’re making accessible to the UK. Sure I thought, let’s see what the hype is about. 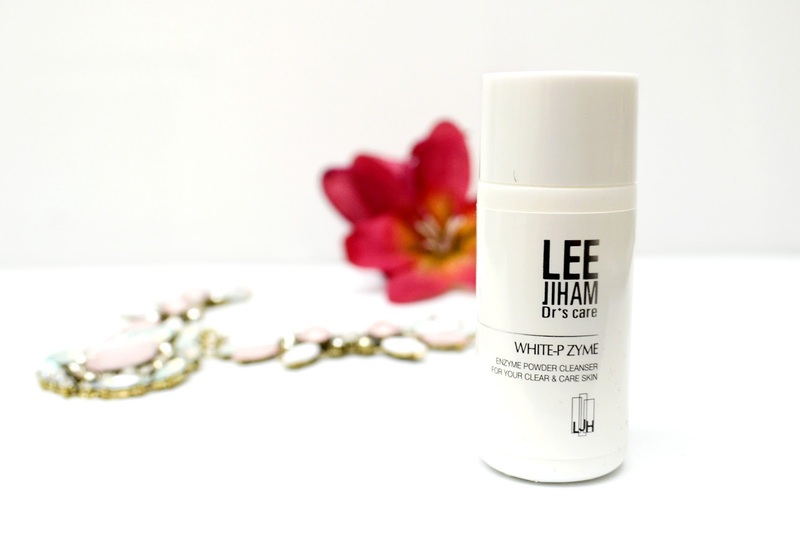 The product I’ve been using religiously for the past few weeks is Lee Jiham Dr’s Care White-P Zyme. This is a powdered cleanser is absolutely amazing and I NEED to get hold of some more. 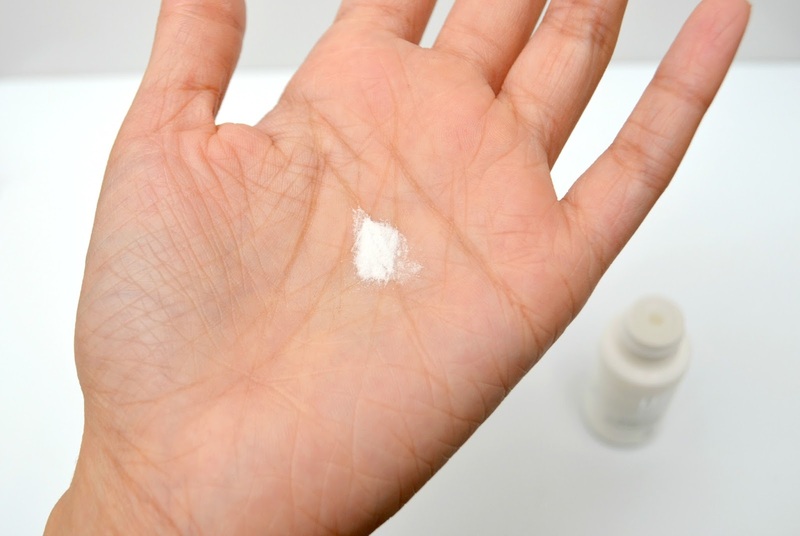 The product is a very fine white powder that comes in a really small plastic bottle. I tried to use this as sparingly as possible and was extremely careful not to tip the bottle over incase I spill the precious powder all over the place. There were no instructions so I just tipped a little bit into the palm of my hand and added water to make a paste. I then transferred the paste on to my face and used either my hands or my cleansing brush to work it into my skin for a few minutes. I washed it off with warm water and voila, all done. One thing I did find a bit hard to get to grips with was that it didn’t foam. The paste just sort of spread across my face no matter what motion I used to scrub it in. Still, after I got used to it, it wasn’t really an issue. There is no artificial smell and once it’s all washed off my skin doesn’t feel tight or dry. After some extensive research on why it’s been so great on my skin, I’ve come to the conclusion that it’s because it has an extremely low pH level. You’re probably thinking, ok great, so what? Well, the way cleansers work is by emulsifying all the dirt and oils that collect on our skin. While this step is critical to skin health, the use of soap-based cleansers can irritate the skin’s protective barrier and raise the skin’s pH level. Still confused? On a scale from 1 to 14, a neutral pH is 7. The skin’s normal pH level is between a 4 and a 5 (acidic). The majority of soaps are made from lye or potassium hydroxide: alkaline ingredients that can reach in the opposite direction, all the way up to 14 on the pH scale. Using soaps that are high in alkalinity strip natural lipids from our skin. This accounts for the tight, pulled feeling you may have experienced after cleansing with soap. While you may interpret this feeling as being “clean” it is actually your skin suffering from a loss of lipids! If your skin starts trying to produce excess oils to replace this loss, well, that’s how you end up getting more spots or aggravating existing acne. Not good! Some great brands like La Roche Possay have now started stating their pH level on their products. If you’re unsure of the products in your bathroom, a rough guide is that the more it foams up, the more alkaline it is. I’m slowly trying to ditch the product that are high in alkalinity. 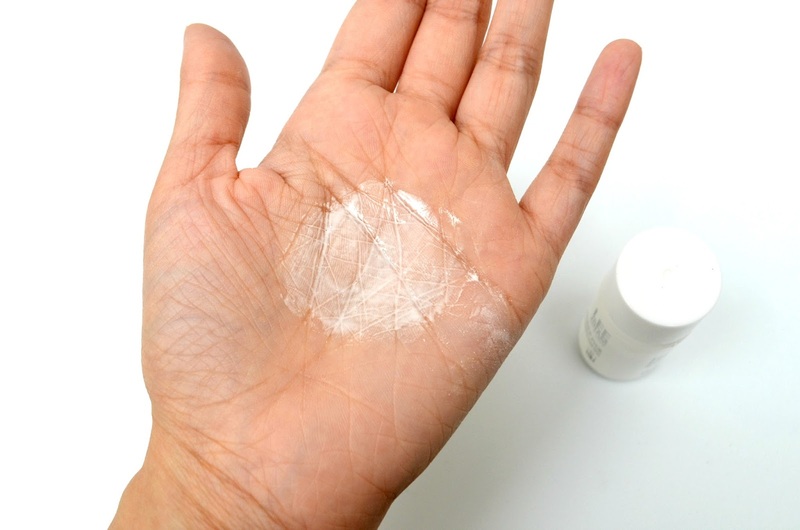 This White-P Zyme cleanser reminds me a lot of Dermalogica’s microexfoliant which I adore. It does a fantastic job of cleaning my face without making it feel tight or dry. You only need a small amount to cover your entire face so even a small bottle like this can last quite a while. It’s currently not available on The Silk Rose’s website just yet but keep your eyes peeled because once it does launch it will be completely sold out for sure. Visit The Silk Rose’s website here to check out their other Korean beauty products.